Dawn is still a self-described “Mom on a mission… to live a good life.” But she learned some powerful—and sometimes heartbreakingly tough—life lessons as a castaway. Her family, friends and faith in Jesus Christ have helped her along the way. And, true to her nature as a mother and a teacher, she’s sharing them with others. Life Lesson #2: Clean Water and Flushing Toilets Are Awesome! One of the greatest “take-aways” from Survivor—for me—has been recognizing how truly fortunate we are I am to have my basic needs (shelter, water, food, freedom to choose, etc.) met on a daily (even hourly) basis. You and I are so much stronger than we realize day-to-day. … Granted, Survivor provides accelerated and dramatic (and at times unhealthy), challenges for its players, but nearly everyone rises to the occasion. I’m so grateful to have been challenged on literally every level—spiritually, emotionally, intellectually, physically—by the game of Survivor. I now look at my life—your life—and our potential entirely differently than I did Pre-Survivor. You can endure all things. 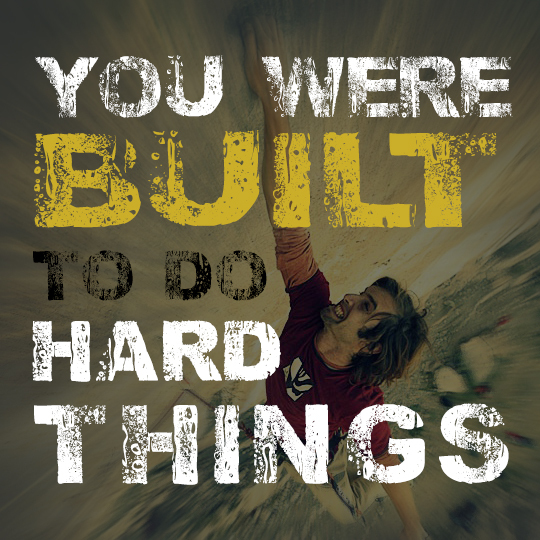 You were built to do hard things. Here we are, living out our dream to play Survivor and be part of the Survivor Adventure, and yet we feel super insecure as we watch the experience with friends, family, and 10+ million others. Survivor is 100,000 times harder than it appears on TV. And I know in my heart, I did the best I could everyday. I did my best to be kind, while also trying to play hard and win the money for my family. (I mean truly, it’s the Hunger Games. A million dollars is on the line for ONE—and only one—person.) I know some people may question me OR feel disappointed in me, but I promise you I did the best I could to represent my family, faith and friends. Was I perfect? No. …But that’s what makes Survivor MY favorite show: we’re not actors; we’re real people trying to play an insanely difficult game. (No sleep, wet clothes, no toilets, no toothbrushes, very little food, rain, no medicines, away from family, etc.). I’m not disappointed with how I played. I did my best; that’s all I could do. Is it fun to see the low-points? Heck no. But, it’s an honest representation of what was happening at that time in this incredibly difficult game. I have to own it. It just IS what it is. Vulnerability is empowering when you can walk away with your head high, knowing that—come what may—you gave your all, and that is enough. This Sunday as I was leaving church, I had an exchange with our Bishop (clergy) that left me feeling so optimistic, I just have to blog about it—in hopes that it may help you feel optimistic, too. And that was it. That was all that needed to be said. Those four little words gave me such relief.